Skirt by Adidas SLVR, suitcase and briefcase by Halliburton, clutch by Jessica McClintock. Shirt by Mary Ping, laptop and iPhone cases by Marc by Marc Jacobs worn with wallet by Coach. 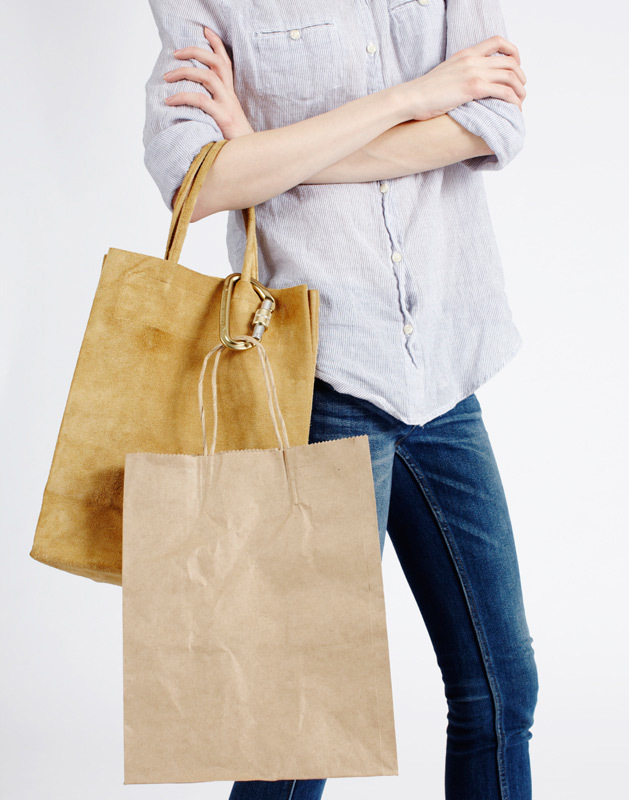 Standard bag by Slow and Steady Wins the Race worn with brown paper bag. T-Shirt by American Apparel, bags by Guess and Issey Miyake. 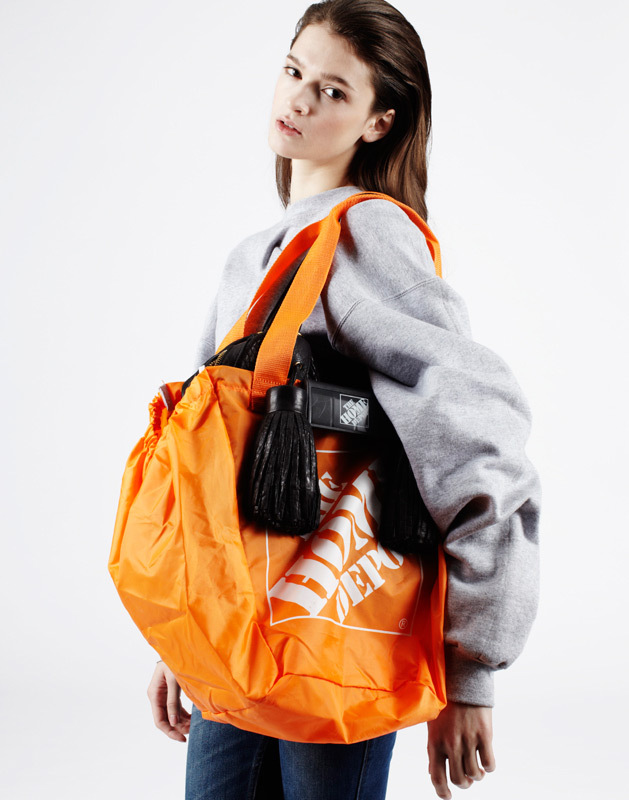 Sweatshirt by Slow and Steady Wins the Race, backpack by Y-3 and clutches by Jessica Simpson. Bag inside Home Depot bag by Sea New York. 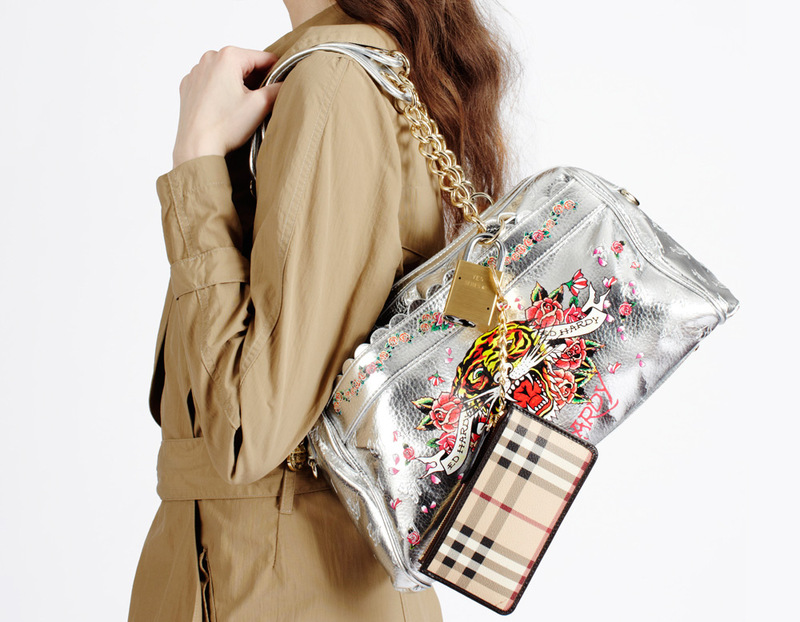 Trenchcoat by Slow and Steady Wins the Race worn with Ed Hardy bag and Burberry wallet.